The bearings make the rollers move very free. You can press extremely hard on them even side load the bearings and there is ZERO bind. 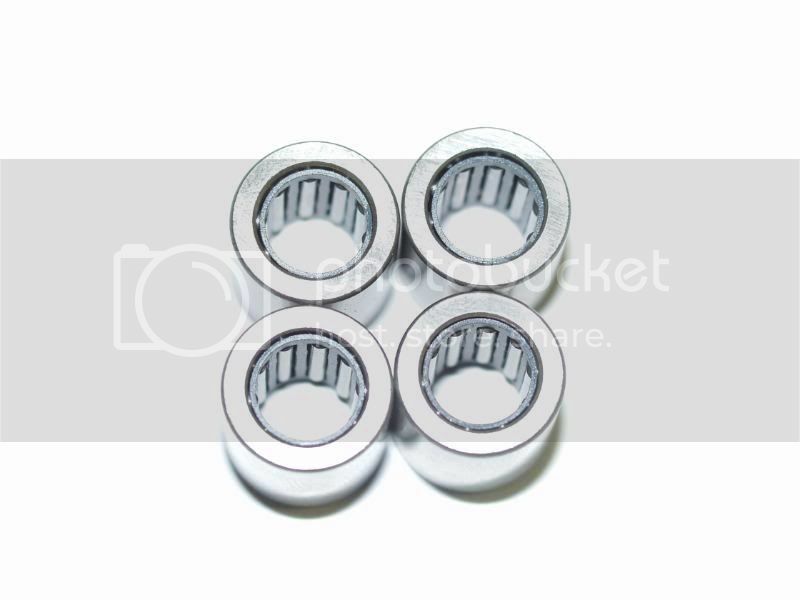 The bearings also come with Custom PTFE Teflon bushings for side load. they also replace the junk nylon roller washers with super slick teflon. These can be installed in any clutch spider. This will work in ALL kawasaki clutches. Bone Stock, Modded, Spidermodded, so long as they are not worn out or damaged in any way. 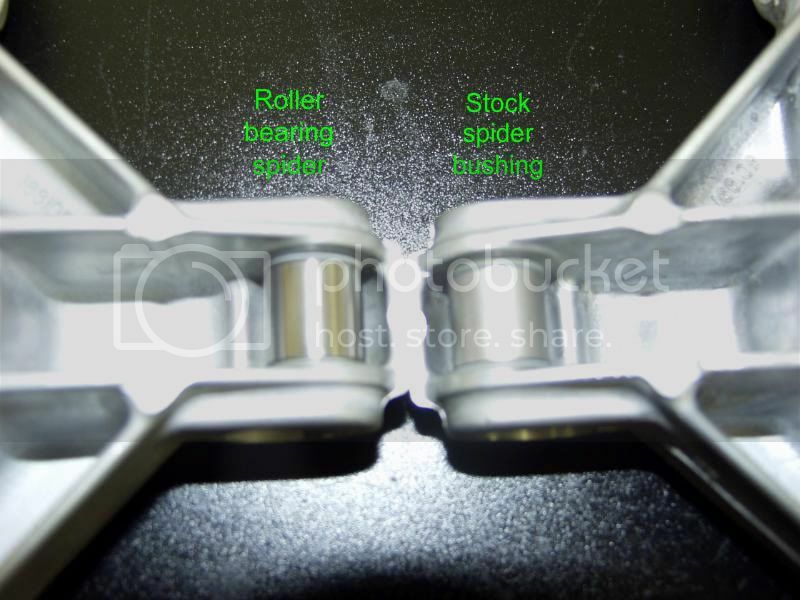 Replacing them in your spider is 185.00 This includes Labor to remove the spider from your existing clutch, install the new roller bearings and 2 day return ship the clutch back to you. For older worn components or Higher horsepower machines you can opt to go with a thicker 2008 style spider and install the bearings right in them. 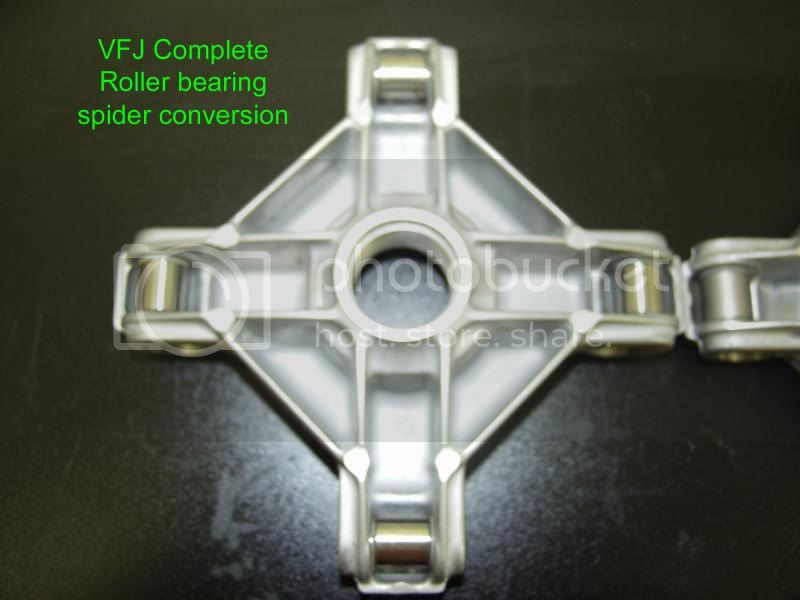 The Complete Roller spider assembly can be purchaced outright for install for the do it yourselfers or Ship the Clutch to me and I'll install them in your existing clutch completely replacing the stock spider. 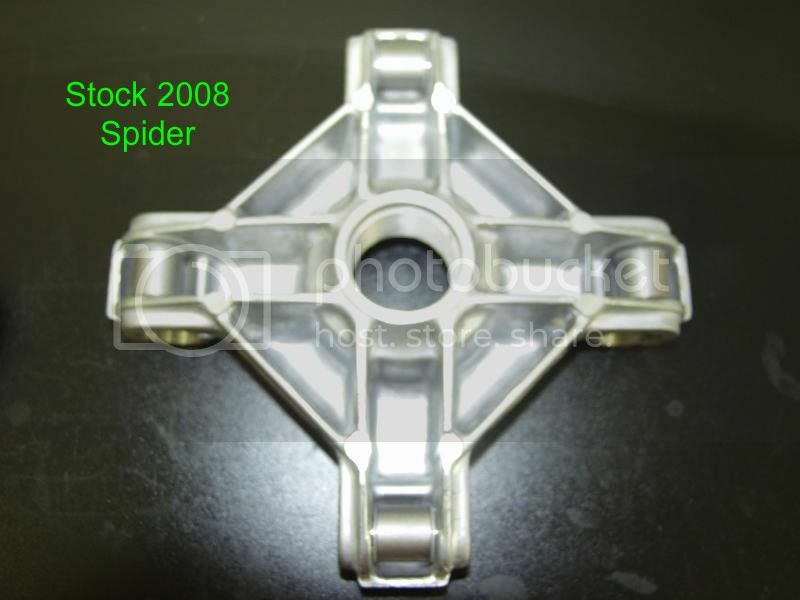 If you run one of my Spidermodded clutches in an older clutch and opt for a new 2008 clutch the spider will be modified same as the last spider at no cost to you. THESE WILL NOT WORK IN CLUTCHES THAT HAVE NOT BEEN SPIDER MODDED. So in-other-words. don't have me mod it if you Don't already have it done. Last edited by VFORCEJOHN; 06-11-2009 at 06:59 PM.